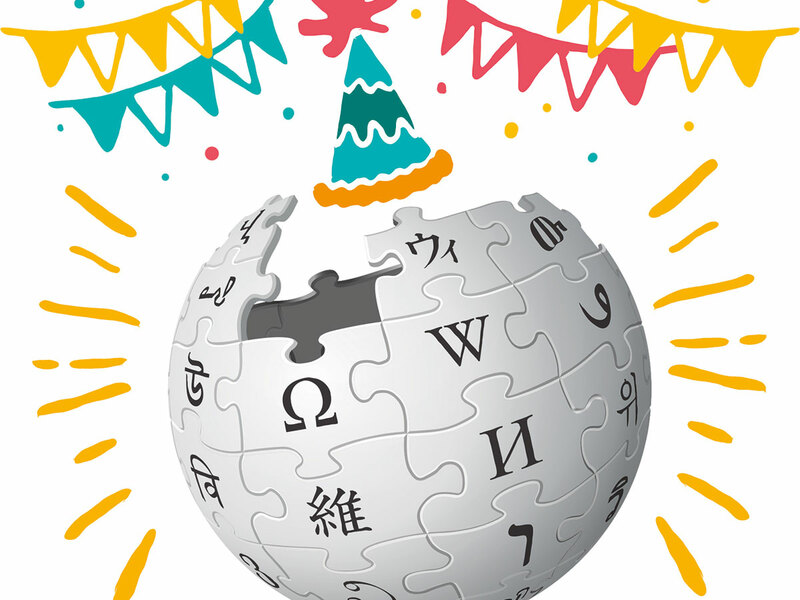 On Tuesday, Wikipedia celebrated its 18th birthday. If the massive crowdsourced encyclopedia project were human, then in most countries, it would just now be considered a legal adult. But in truth, the free online encyclopedia has long played the role of the internet’s good grown-up. The site has also undergone a major reputation change. If you ask Siri, Alexa or Google Home a general-knowledge question, it will likely pull the response from Wikipedia. The online encyclopedia has been cited in more than 400 judicial opinions, according to a 2010 paper in the Yale Journal of Law & Technology. Many professors are ditching the traditional writing assignment and instead asking students to expand or create a Wikipedia article on the topic. And YouTube Chief Executive Susan Wojcicki announced a plan last March to pair misleading conspiracy videos with links to corresponding articles from Wikipedia. Facebook has also released a feature using Wikipedia’s content to provide users more information about the publication source for articles in their feed. Wikipedia’s rise is driven by a crucial difference in values that separates it from its peers in the top 10 websites: On Wikipedia, truth trumps self-expression. Last year, Wikipedia co-founder Jimmy Wales told NPR that Wikipedia has largely avoided the “fake news” problem, raising the question of what the encyclopedia does differently than other popular websites. As Brian Feldman suggested in New York magazine, perhaps it’s simply the willingness within the Wikipedia community to delete. If a user posts bad information on Wikipedia, other users are authorised and empowered to remove that unencyclopedic content. It’s a striking contrast to Twitter, which allows lies and inflammatory statements to remain on its platform for years. Every generation’s encyclopedists face adversaries — in the 18th century, Denis Diderot and other authors of the Encyclopdie were denounced as heretics — and today’s Wikipedians confront serious challenges: an often hostile editing environment with regular editors who “bite” the newbies, a long-term decline in the contributor community, bad actors who hack administrator accounts to vandalise pages, and an overall systemic bias in its coverage, caused in part by a contributor base that’s mostly Western and male. Gender bias on Wikipedia received media attention last year when Donna Strickland won a Nobel Prize, and — at the time of her award — did not have a Wikipedia page. (An earlier entry on Strickland had been rejected due to lack of “notability.”) Katherine Maher, executive director of the non-profit Wikimedia Foundation, responded with a commentary observing that the encyclopedia mirrors, but does not cause, the world’s biases. It’s worth emphasising, however, how the volunteer Wikipedia community is gradually moving the needle. The volunteer group WikiProject Women in Red, cofounded by Rosie Stephenson-Goodknight and Roger Bamkin in 2015, has committed to reduce the site’s gender gap and has already increased the percentage of female biographies from about 15 to 17.8. Do-it-yourself initiatives such asAfroCROWD and Art+Feminism host edit-a-thons, organised public events where volunteers help improve the encyclopedia’s coverage of underrepresented groups. Millennials coined the word “adulating” to describe mundane acts of grown-up self-sufficiency. But perhaps the term could be expanded to include moral maturity and repeated contributions toward the common good. As Wikipedia crossed this milestone on Tuesday, it’s worth acknowledging that — at its best — its community has long been adulating, the contributors modelling a selflessness that’s increasingly rare online. Stephen Harrison is working on a book about the Wikipedia-editing community.